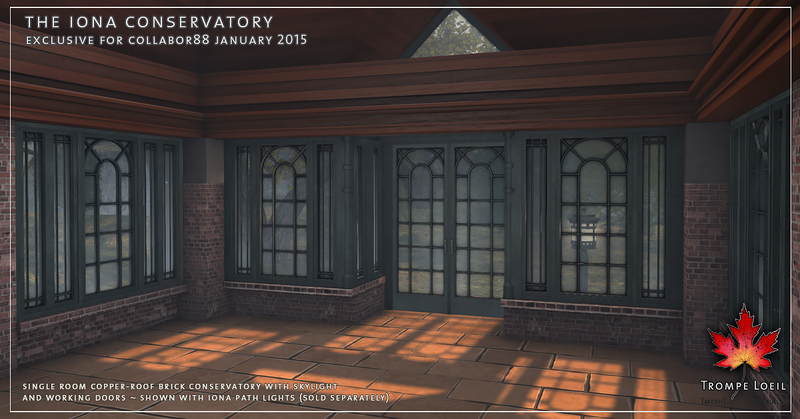 Make January the start of new traditions – artistic pursuits and relaxing retreats in peaceful gardens, in tasteful architectural surroundings – like the new Iona Conservatory with matching Path Lights, only at Collabor88 January! 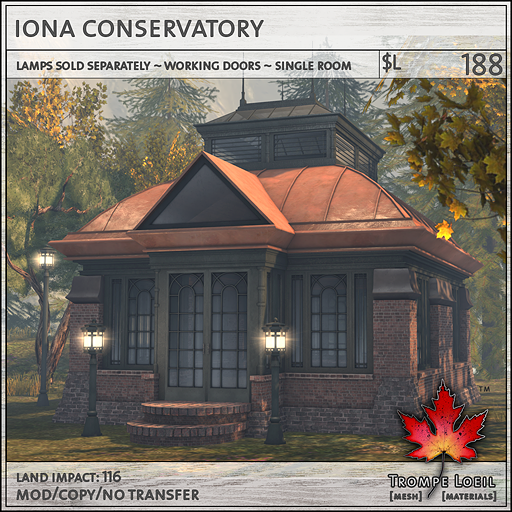 The Iona Conservatory is a single room, copper-roof brick build with skylight and working (non-locking) doors. Windows all around let the natural light inside to the terra cotta tile floor, where you’ve set up a greenhouse, painting studio, office, library, or tiny home – the possibilities are endless! 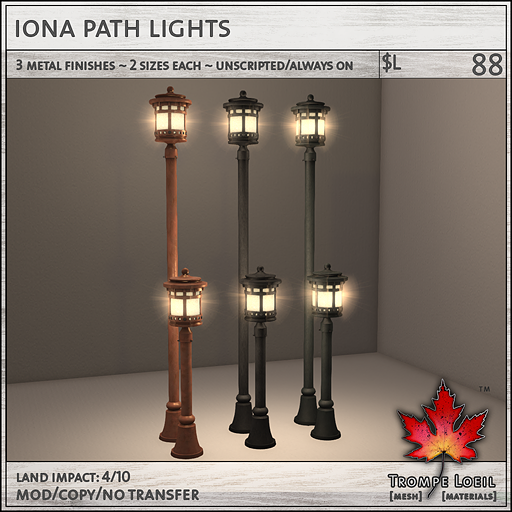 Our matching Iona Path Lights include green, black, and copper finishes in two sizes, and are always lit/unscripted for low resource use. 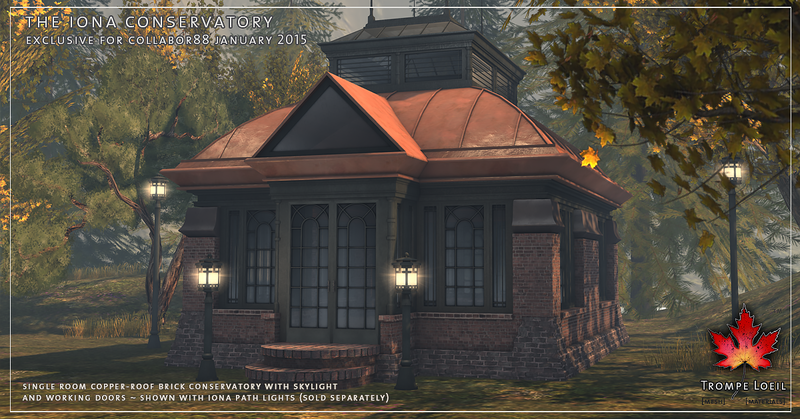 Check out the on-site display at Collabor88 and our Mainstore, and pick them up at great sale prices exclusively at Collabor88 January!